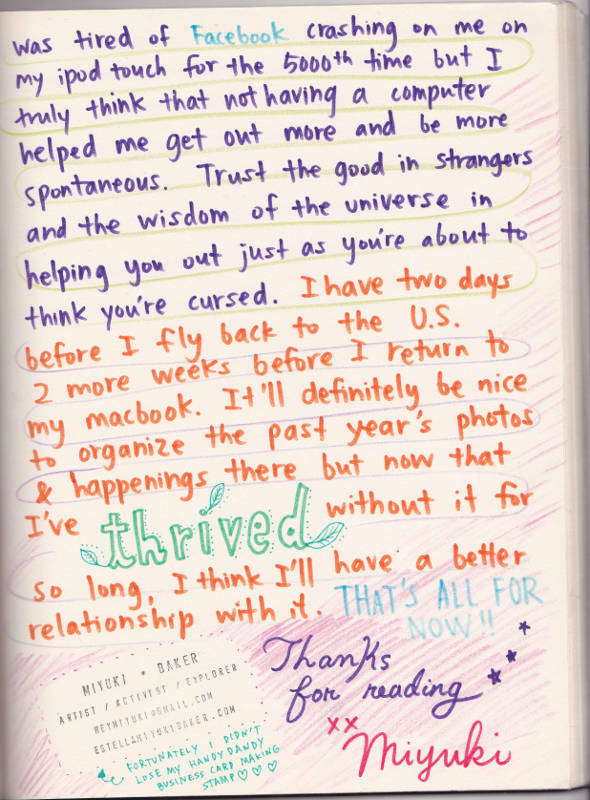 The American zine maker Miyuki Baker (24) had just started her world tour visiting queer communities and writing about them, when her laptop was stolen. But who says one needs a computer to write? 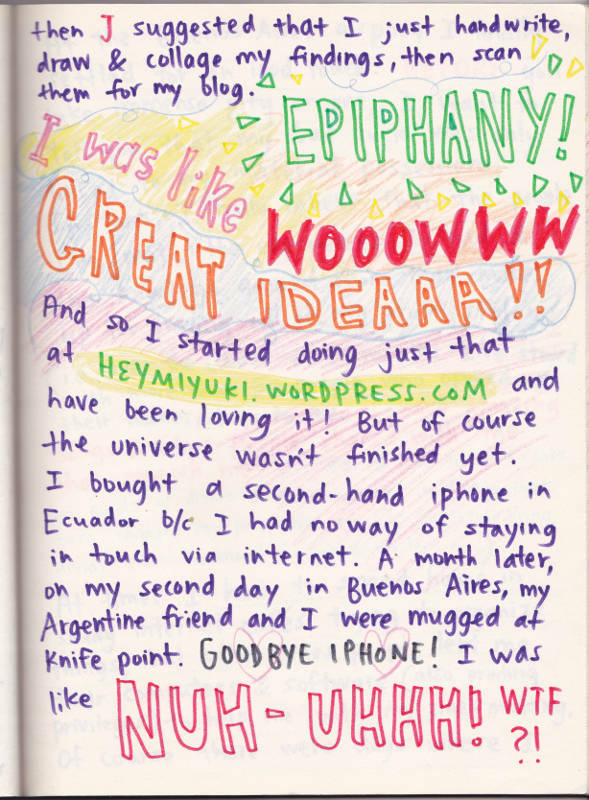 For the past 14 months, Miyuki has been reporting on her travels in the old-fashioned way: by drawing and writing by hand. She liked the idea of blogging about this experience for us, so she sat down, opened her pencil bag with felt-tips in all possible colours and wrote down her story instantly. We uploaded it for you.